The GeoCapabilities project  has produced a teacher training website (www.geocapabilities.org) that draws on principles of human capability development as an approach to preparing teachers as future curriculum leaders. The website explains these principles and also features four training modules. The modules are supported with workshop materials, additional key readings, and videos. The website is intended for use in both initial teacher training and the professional development for practicing teachers. Enable critical reflection on the teaching of geography at the level of goals and purposes. Develop ideas of disciplinary rigor in geography education and to link this effectively with enquiry pedagogies. Empower in teachers with new understandings of the significance of their role in ‘enacting’ the curriculum. Inspire teachers of geography internationally to take responsibility for ‘curriculum making’ and to learn from each other. The four modules are intended to be enjoyed and to be professionally rewarding and motivating, contributing to teachers’ lifelong learning as curriculum leaders. Each training module contains a set of aims and learning outcomes, suggestions for getting started and preparing to teach the module, a discussion of relevant theories of learning and professional development, activities for putting theory and concepts into practice, some questions for reflection, and finally a small bibliography of additional materials and readings. While users are free to access the training modules in any order they prefer, the modules are intended to build upon each other in order to achieve the broader aims stated above. Module 1 (Capabilities & Powerful Disciplinary Knowledge) introduces the capabilities approach as a productive and practical way to express the significance of geographical knowledge and thought in education. A key resource is a Story Map providing examples or ‘vignettes’ illustrating why geographical knowledge is essential for understanding critical issues of local, national, and global significance. Teachers who complete this module can contribute their own geographical examples of ‘powerful disciplinary knowledge’ to the Story Map. Module 2 (Curriculum Making by Teachers) explores ideas and practical suggestions for engaging students in a progressive knowledge-led curriculum. Teachers are given an opportunity to analyze examples of ‘curriculum artifacts’ that can help them ‘enact’ the curriculum. These examples are further illustrated by a collection of video case studies in Module 3, designed to encourage teachers’ critical reflection. Finally, Module 4 (Curriculum Leadership & Advocacy) is designed to provoke and stimulate creative and committed responses from teachers of geography as they consider their roles as subject experts in schools. Key to this is the principle that effective teachers are leaders, not just classroom managers. In the coming months the new GeoCapabilities teacher training website will be implemented for teacher training and workshops in different countries. Plans are also underway for a “dissemination event” for teacher educators at the 2017 Annual Conference of the Geographical Association in Guildford, U.K. 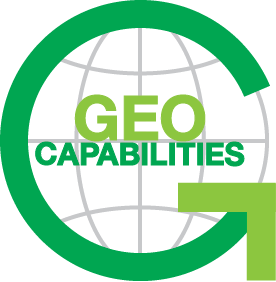 The GeoCapabilities website was developed through an international collaborative process involving a considerable amount of original research and pilot testing with teachers and teacher educators. This work began with a pilot study in 2011 funded by a grant to the American Association of Geographers (AAG) from the U.S. National Science Foundation, under the direction of Dr Michael Solem. This mainly theoretical phase led directly to a larger partnership under the direction of Professor David Lambert (UCL Institute of Education) with funding from the EU COMENIUS programme. The full partnership includes Sirpa Tani (University of Helsinki, Finland), Karl Donert (Eurogeo, Belgium) and Duncan Hawley (Geographical Association, UK) as well as four school partners: Elina Särkelä (Viikki Teacher Training School, Finland), Panos Papoutsis (Doukas School, Greece), Richard Bustin (City of London Freemens School, UK), and Kelly Kerrigan (Stafford Grammar School, UK). 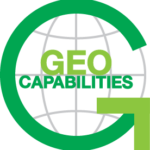 Since its inception GeoCapabilities has attracted a lot of interest internationally beyond the formal partnership. Several individuals have declared an active interest, contributing to research, translations, conference presentations, and other key papers. These “Associate Partners” currently hail from countries as diverse as the Netherlands, Sweden, China, Japan, India, Germany, Portugal, Germany, Serbia, Czech Republic, Singapore, Canada, Australia, and New Zealand. All project partners invite geography teachers and teacher educators to give the modules a try at www.geocapabilities.org.